Start off your visit on the 26th (Wed): sample the fine beverages at The Grove Distillery & Brewery, learn about winemaking at Cape Grace Wines, then do a tasting at Brookwood Estate, then do a tasting at Brown Hill Estate, and finally learn about winemaking at McHenry Hohnen Vintners. To see where to stay, maps, and tourist information, you can read our Margaret River holiday planner. Sydney to Margaret River is an approximately 12.5-hour combination of flight and bus. You can also do a combination of bus and flight; or drive. The time zone changes from Australian Eastern Standard Time (New South Wales) to Australian Western Standard Time, which is usually a -2 hour difference. Wrap up your sightseeing on the 26th (Wed) early enough to drive to Fremantle. 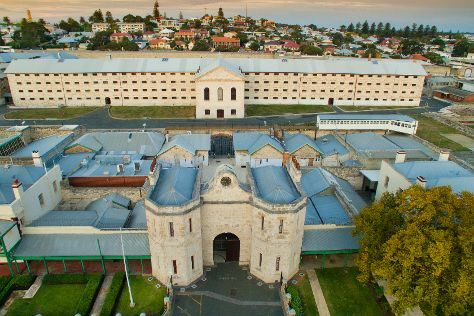 Start off your visit on the 27th (Thu): steep yourself in history at Fremantle Prison, kick back and relax at Cottesloe Beach, then view the masterpieces at Glen Cowans' Studio at the Roundhouse, and finally contemplate the long history of The Fremantle Round House. For reviews, maps, and tourist information, read Fremantle trip maker app . Traveling by car from Margaret River to Fremantle takes 3 hours. Alternatively, you can take a bus; or do a combination of bus and train. In June, plan for daily highs up to 23°C, and evening lows to 9°C. On the 28th (Fri), wrap the sightseeing up by early afternoon so you can travel back home.